In this study, Computational Fluid Dynamics (CFD) is used as a complement to field flow measurements to study discharge capacity of water control structures of complex geometry. The CFD approach described herein is based on solving Reynolds-Averaged Navier-Stokes equations using the κ-ε turbulence model with the free-surface resolved by the Volume of Fluid method. Two groups of complex water control structures have been investigated as case studies with this hybrid flow rating approach. The first group are the Golden Gate structures (GG1, GG2, GG3) which are hinged crest gated structures, also known as pivot weirs. In this paper, a new broad crest weir flow equation which includes a parameterized pivot angle and a modified Villemonte submergence coefficient was proposed. CFD, in conjunction with field measurement, was used to calibrate the developed flow rating equations. The methodology proved to be very accurate with an overall error between measured and estimated flows of less than 6% for all three structures. The same approach was applied to Kissimmee River ship locks. In this case, a Villemonte-equation -based submergence correction was added to a standard Parshall Flume flow equation for discharge estimation. CFD simulation was then applied to further calibrate the coefficient of this rating formula. Despite limited number of field measurements, a reasonably accurate flow rating equation was obtained. The above cases showed that CFD can be a cost effective, and powerful complementary tool to field measurements to accurately rate water control structures of complex geometries. Mr. Jie Zeng graduated from Hydraulic and Hydropower Construction Engineering in TsingHua University of China in 1990. He graduated with distinction with his Mater degree majoring in Hydroinformatics with specialization in data mining, hydrodynamic and water quality modeling in IHE-Delft, The Netherlands in 2001. He received his PhD in Iowa Institute of Hydraulic Research majoring in hydraulics and numerical modeling in 2006. Dr. Zeng has more than 26 years of research and work experience in areas of hydraulics analysis & hydraulic structure design, water resource and environmental engineering, hydrologic and hydraulic monitoring and modeling. Mr. Zeng currently works as a Lead Engineer at Hydrology and hydraulics Bureau of South Florida Water Management District, His works include developing and application of of Computation Fluid Dynamics modeling, hydraulics design, flow rating analyses for hydraulic structures, hydrologic and hydraulic modeling studies for supporting the District’s core flood control and water supply functions. Bio: Mr. Jie Zeng graduated from Hydraulic and Hydropower Construction Engineering in TsingHua University of China in 1990. He graduated with distinction with his Mater degree majoring in Hydroinformatics with specialization in data mining, hydrodynamic and water quality modeling in IHE-Delft, The Netherlands in 2001. He received his PhD in Iowa Institute of Hydraulic Research majoring in hydraulics and numerical modeling in 2006. Dr. Zeng has more than 26 years of research and work experience in areas of hydraulics analysis & hydraulic structure design, water resource and environmental engineering, hydrologic and hydraulic monitoring and modeling. Mr. Zeng currently works as a Lead Engineer at Hydrology and hydraulics Bureau of South Florida Water Management District, His works include developing and application of of Computation Fluid Dynamics modeling, hydraulics design, flow rating analyses for hydraulic structures, hydrologic and hydraulic modeling studies for supporting the District’s core flood control and water supply functions. Mr. Zubayed Rakib graduated from Bangladesh University of Engineering and Technology with Bachelors of Science in Civil Engineering. He completed his Master’s Degree from University of Utah, focused on Water Resource Management and Water Quality Modeling. Mr. Rakib has more than two years of experience in the field of water resources engineering (hydraulic and hydrologic modeling, water quality modeling, stormwater, computational fluid dynamics, and hydroinformatics). He worked at the Western States Water Council as a Water Resources-Civil Engineering (Hydroinformatics) Intern. Currently, he is working as Hydraulic Engineer with King Engineering Associates in Miami, Florida. His role is to support their client South Florida Water Management District for the development and application of Computational Fluid Dynamics (CFD) modeling, hydraulic designs, flow rating analysis for hydraulic structures, and hydrologic and hydraulic modeling studies for flood control and water supply functions. Organization: King Engineering Associates Inc.
Bio: Mr. Zubayed Rakib graduated from Bangladesh University of Engineering and Technology with Bachelors of Science in Civil Engineering. 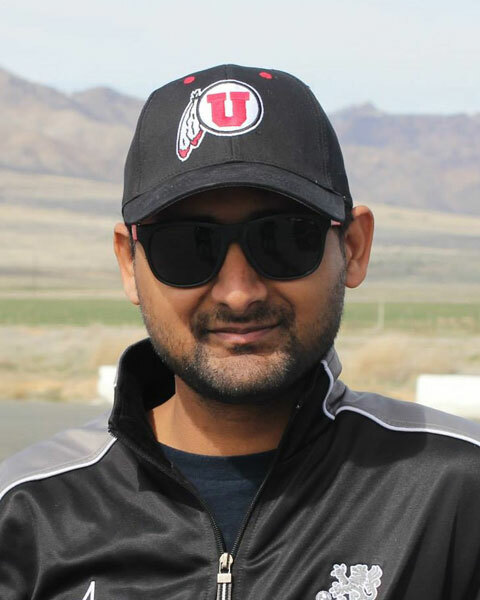 He completed his Master’s Degree from University of Utah, focused on Water Resource Management and Water Quality Modeling. Mr. Rakib has more than two years of experience in the field of water resources engineering (hydraulic and hydrologic modeling, water quality modeling, stormwater, computational fluid dynamics, and hydroinformatics). He worked at the Western States Water Council as a Water Resources-Civil Engineering (Hydroinformatics) Intern. Currently, he is working as Hydraulic Engineer with King Engineering Associates in Miami, Florida. His role is to support their client South Florida Water Management District for the development and application of Computational Fluid Dynamics (CFD) modeling, hydraulic designs, flow rating analysis for hydraulic structures, and hydrologic and hydraulic modeling studies for flood control and water supply functions. 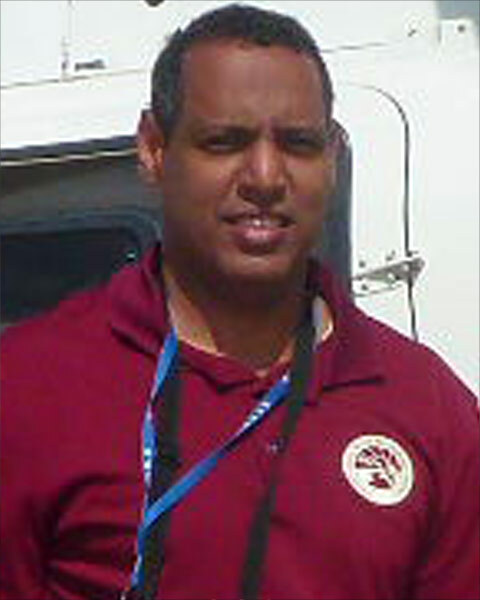 Since June 2014, Dr. Matahel Ansar is a Section Administrator (Section Chief) for the Applied Hydraulics Section at the South Florida Water Management District, West Palm Beach, Florida. In this position, he provides overall management of the Section, and technical leadership to about twenty three engineers involved in hydraulic design, flow computations at water control structures, flood risk analysis, and investigations of sea level rise challenges in South Florida. This Section also provides operational hydraulics support to the District’s water control center. Dr. Ansar has a Ph.D. (’97) and an M.S. (’93) in Civil and Environmental Engineering, specializing in Hydraulics from the University of Iowa. He also holds a Bachelor of Science (’91) in Water Resources Management from Central State University, Wilberforce, Ohio. He has about forty five technical publications in the form of refereed journal papers and discussions, conference papers, theses, and technical reports. He is also the past winner of several awards, including the Merit Award from the Arizona Consulting Engineers Association (1998); the Best Discussion Award from the American Society of Civil Engineers Journal of Irrigation and Drainage Engineering (2003); the South Florida Water Management District Leadership Award (2006), the Grand Award from the Florida Engineering Society (2009), and a National Recognition Award from the American Council of Engineering Companies (2009). Dr. Ansar has testified, as a Hydrology and Hydraulics Expert Witness, in several complex litigations. He is also a Registered Professional Engineer in the State of Florida. Bio: Since June 2014, Dr. Matahel Ansar is a Section Administrator (Section Chief) for the Applied Hydraulics Section at the South Florida Water Management District, West Palm Beach, Florida. In this position, he provides overall management of the Section, and technical leadership to about twenty three engineers involved in hydraulic design, flow computations at water control structures, flood risk analysis, and investigations of sea level rise challenges in South Florida. This Section also provides operational hydraulics support to the District’s water control center. 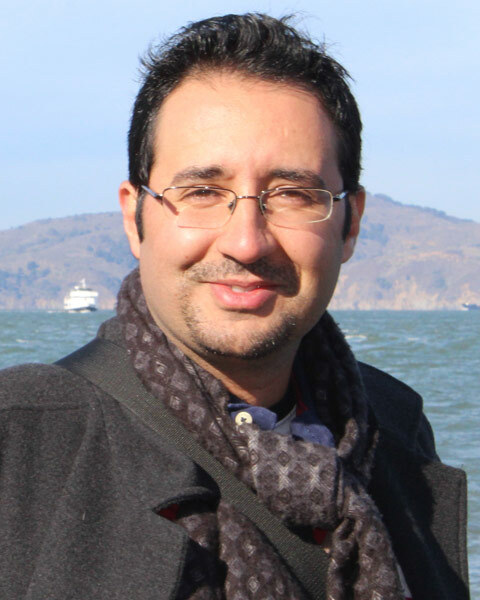 Dr. Ansar has a Ph.D. (’97) and an M.S. (’93) in Civil and Environmental Engineering, specializing in Hydraulics from the University of Iowa. He also holds a Bachelor of Science (’91) in Water Resources Management from Central State University, Wilberforce, Ohio. He has about forty five technical publications in the form of refereed journal papers and discussions, conference papers, theses, and technical reports. He is also the past winner of several awards, including the Merit Award from the Arizona Consulting Engineers Association (1998); the Best Discussion Award from the American Society of Civil Engineers Journal of Irrigation and Drainage Engineering (2003); the South Florida Water Management District Leadership Award (2006), the Grand Award from the Florida Engineering Society (2009), and a National Recognition Award from the American Council of Engineering Companies (2009). Dr. Ansar has testified, as a Hydrology and Hydraulics Expert Witness, in several complex litigations. He is also a Registered Professional Engineer in the State of Florida. Tibebe Dessalegne, Ph.D., P.E., P.H., DWRE., M.ASCE is a Senior Engineer under Hydrology & Hydraulics Bureau at the South Florida Water Management District (District). He has been practicing in the field of water resources engineering in the private sector and government. His experience also streches three continents. Bio: Tibebe Dessalegne, Ph.D., P.E., P.H., DWRE., M.ASCE is a Senior Engineer under Hydrology & Hydraulics Bureau at the South Florida Water Management District (District). He has been practicing in the field of water resources engineering in the private sector and government. His experience also streches three continents. I have received my Ph.D. in Civil and Environmental Engineering from the University of Iowa, IIHR—Hydroscience & Engineering (IIHR). My Ph.D. dissertation was an interdisciplinary study with components of environmental hydraulics as well as sediment transport. Currently, I am a full time employee at Hydrology and Hydraulics (H&H) Bureau at South Florida Water Management District (SFWMD).